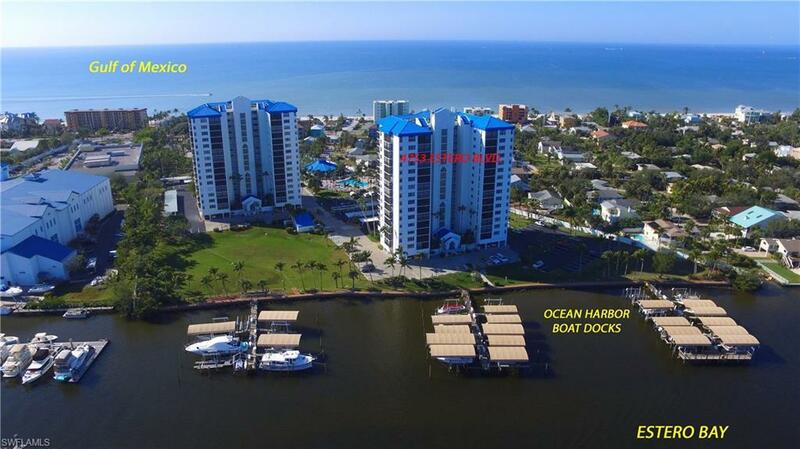 This spacious 10th floor 2BR/2BA Ocean Harbor unit has amazing Gulf views AND Estero Bay views throughout the unit! 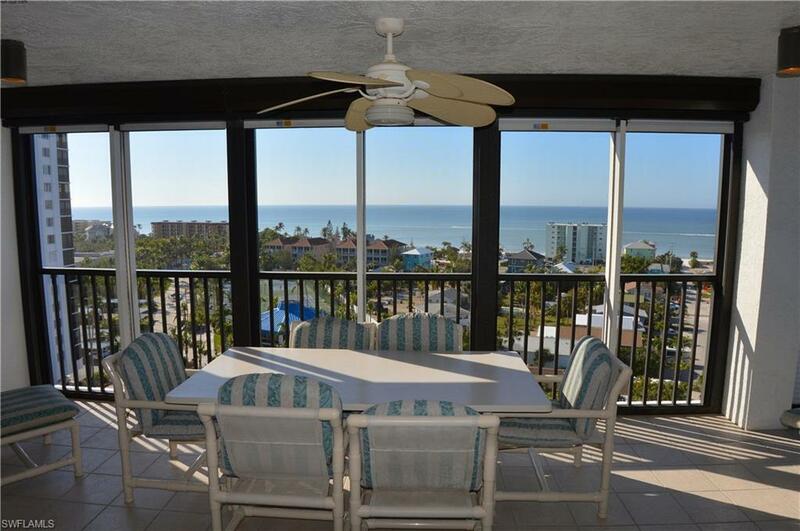 The lanai, directly facing the Gulf, is spacious enough to accommodate a larger dining table as well as 2 (!) seating areas. The window in the living area has gorgeous views of not only the Gulf, but of Estero Bay as well. Even the beautiful kitchen has great views! There's a convenient breakfast bar as well as separate dining area. 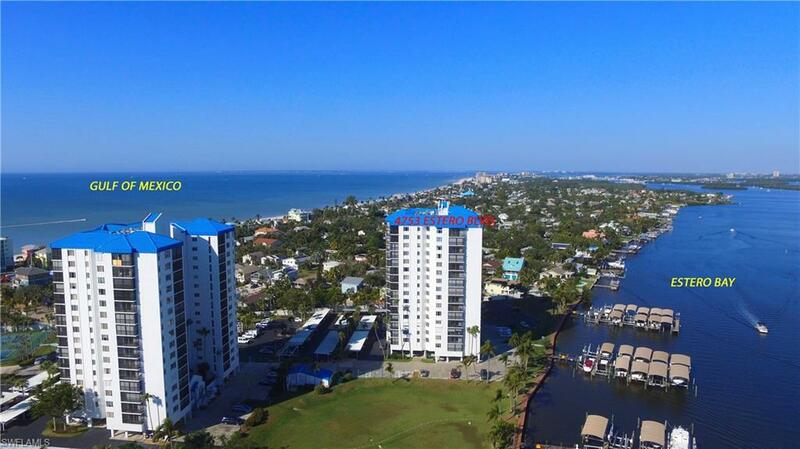 The sizeable owner's suite has stunning direct Gulf views, large walk-in closet and direct lanai access. The owner's suite bath has a dual vanity, jetted tub plus a separate shower. Not to be left out, the guest suite has big water views also. There's lots of storage space in the unit plus a storage locker. A convenient covered parking space is included. 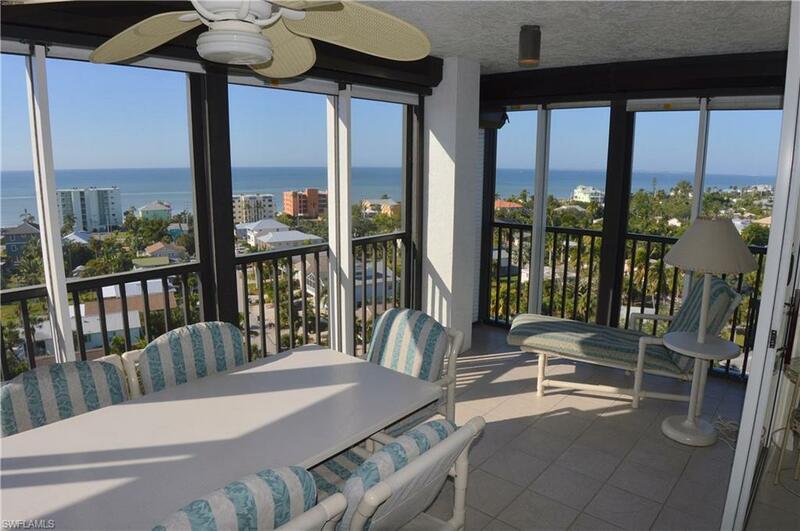 This gated community is located mid-island and is impeccably maintained. Amenities include a community room, heated pool & hot tub, grilling area, tennis courts, shuffleboard and theater. There's also a full service marina, restaurant and supermarket next door! Boat docks are available to purchase. Best of all, it's only 1/2 block to our white sandy beach! Listing courtesy of Michael Koch of Lahaina Realty.